Some people have hidden talents or hobbies, like being able to tap dance, knit, do magic tricks, or paint. With the right tools and dedication, anyone has the ability to be an artist. 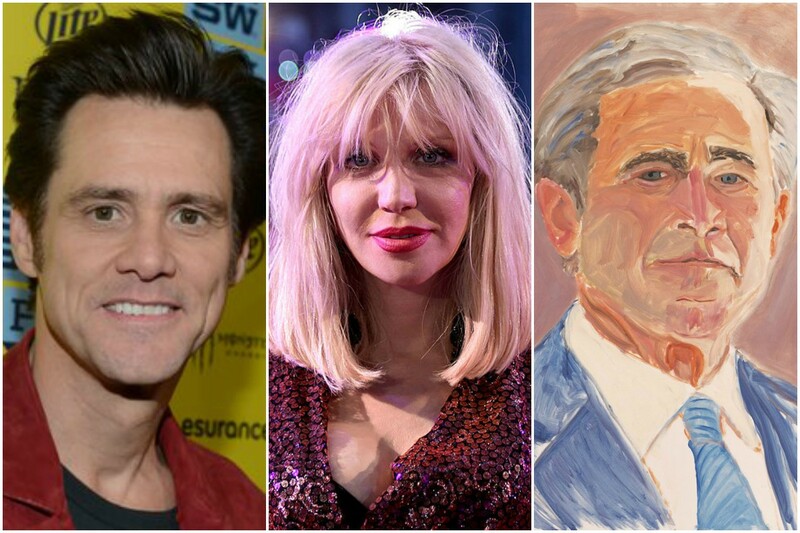 The following people have already made established careers in politics, music, or acting, but they have found a passion for art. You might know him for his outrageous characters in The Mask, Dumb and Dumber, Liar Liar, and The Truman Show. A lot of people have noticed that he has been absent from the big screen the past couple years, and that is because he is now a full time artist. In the above short documentary, you can see Jim Carrey in his painter’s element. He seems to be doing a lot of street art and is using a lot of bold colors. When he was younger, he stretched in addition to preforming, so painting is not something entirely new to him. 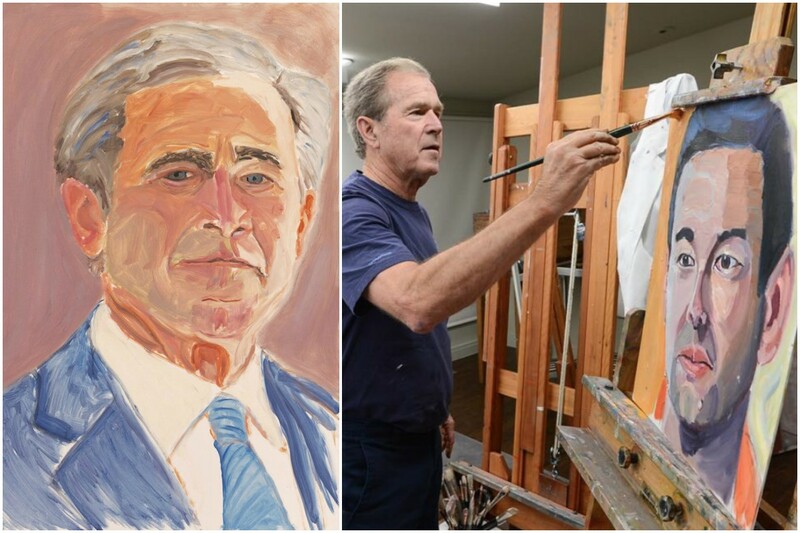 George W. Bush’s self portrait and him painting another portrait. As the 43rd President of the United States of America, George W. Bush has a lot of free time since his term ended. He picked up painting to relax and even hired a teacher and told her that he wanted to discover his “inner Rembrandt.” He had a exhibition titled “Portraits of Courage” that is now displayed at the George W. Bush Presidential Library and Museum in Dallas. He was inspired by those who have served for the U.S., and decided to paint their portraits. The subject’s portraits and stories are even in a book with the same title. 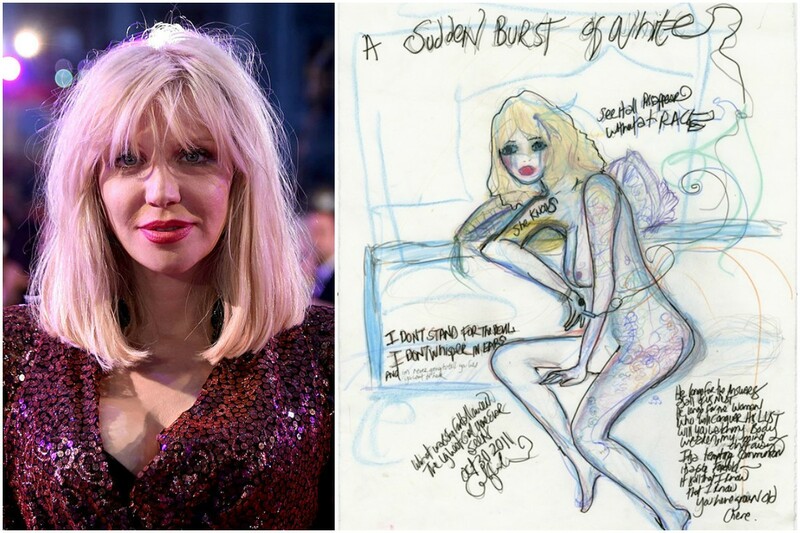 Courtney Love and her artwork. Besides from being married to the late Kurt Cobain, Courtney Love is best known for her music and acting career. In 2012, she had a show on display at Fred Torres Collaborations in New York called “And She’s Not Even Pretty.” Her work is comprised of about 45 works on paper with colored pencils, ink, pastels, and watercolors that include written quotes such as “Just Not Good Enough,” and “I’m a celebrity, get me out of here.” Her artwork has mixed reviews, but is undeniably a visual representative of her punk-rock lyrics. Well known actor and heart-throb, James Franco, has been in plenty of films. 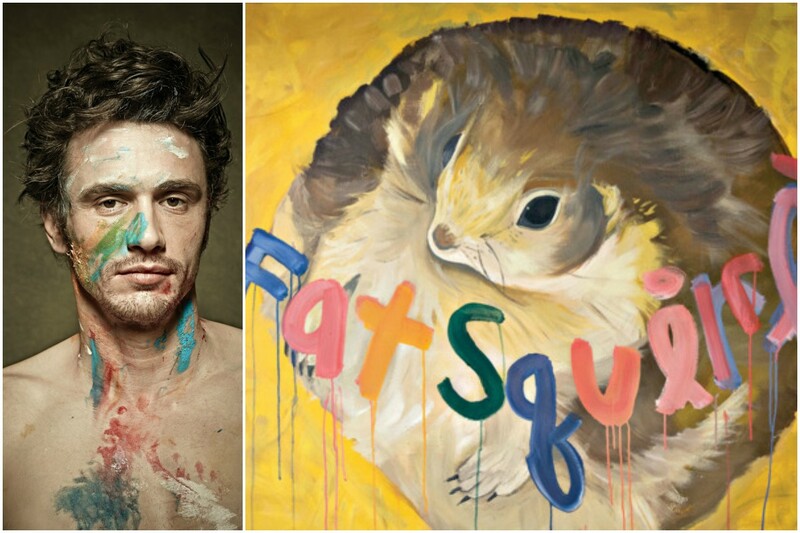 Even in his most recent film, Why Him?, his least popular talent is on display – his artwork. Franco plays a character who is covered in tattoos, to which he admits to drawing some of them. Franco also put some of his artwork on the walls of the set. He has sold some of the work, but makes acting his primary career. Adrien Brody at Art Basel Miami. Adrien Brody is known to be the youngest person for receiving a Best Actor Oscar for his role in The Pianist. He has recently been absent from the big screen, which is due to his art career. 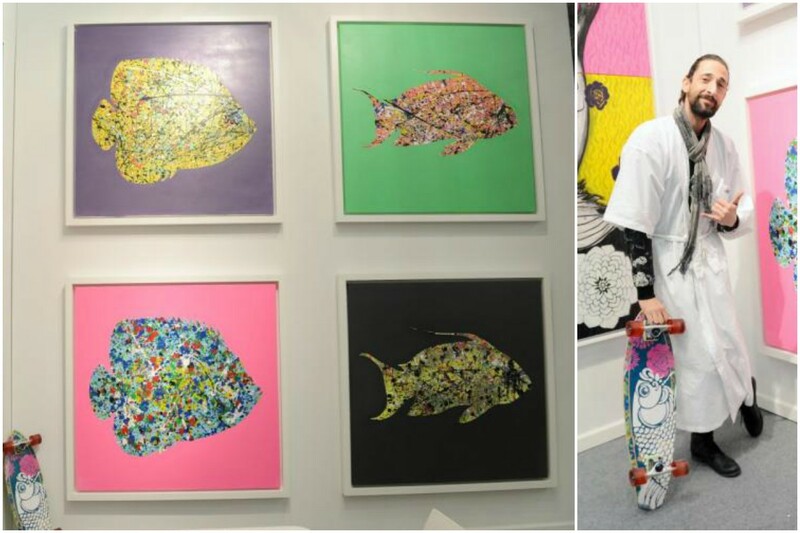 He has been displayed in a number of high-end art events such as Watermill, the Seattle Art Fair, and Art Basel Miami. His style is considered street art, with pieces that incorporate splattered paint. Tags: Adrien Brody, ART, Art Basel Maimi, Artists, contemporary, Courtnet Love, culture, George W. Bush, James Franco, Jim Carrey, President, Sarah Yenesel, The Untitled Magazine, unexpected, Why Him?